Choir Area: warms up etc. When is our next concert? How can you hear us? ​Who Wrote the Book of Love? 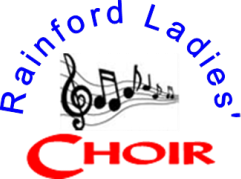 ​The choir usually sings 2 pieces from the following selections to enhance your special day. A lovely John Rutter item that is a favourite at weddings for its message of God's love going with you. This well known piece by Mozart will add a touch of class to your ceremony. This is one of Johann Sebastian Bach's most enduring pieces of music and always a good wedding choice. Cesar Franck's popular version of Saint Thomas Aquinas' words is well known and a popular wedding choice. John Rutter has again written a lovely sacred piece with an uplifting message, perfect for a celebration. Our version of this famous and beautiful song is perfect for a special occasion.